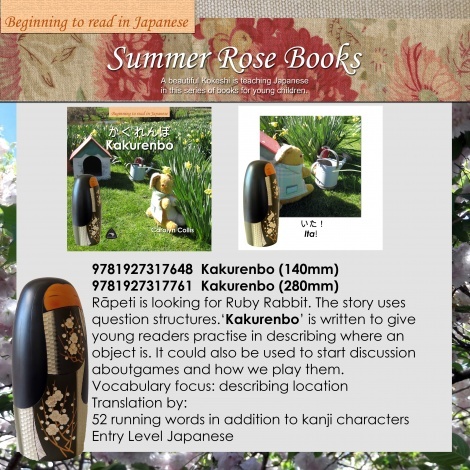 Rāpeti is looking for Ruby Rabbit written in Japanese. The story uses question structures. 'Hide and seek' is written to give young readers practise in describing where an object is. It could also be used to start discussion games and how we play them. 52 running words in addition to hiragana.